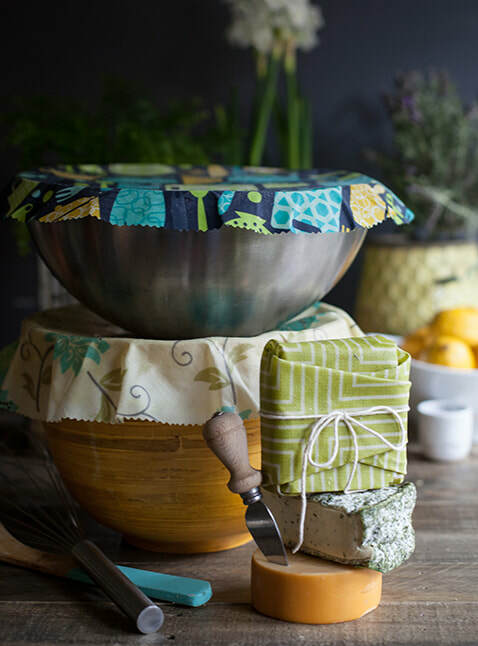 The Rathmines Area Sustainable Neighbourhood Group held some successful workshops to create reusable food wraps out of cloth and beeswax in November 2018. Due to popular demand, we ended up running 2 workshops of 2 hours each on the same day, and still have a waiting list for future workshops. Suzanne, Cate and Ros very ably ran the workshops, and lead participants through the steps to create their very own beeswax wraps. You can view this video from ABC Newcastle and the Cardiff Area Sustainable Neighbourhood Group with details about how to make the wraps. The whole workshop ran smoothly. Everyone thoroughly enjoyed the day and were very happy with what they learned. So much so that two participants each donated $10 to the group for our efforts. There were a group of quilters residing at the Centre for the weekend and several of them came out to see what we were up to. They were so impressed they have booked us to be there in April at their next retreat to run a workshop for them. Several of the ladies said they would love to come back and do another workshop which is great. For future workshops we will suggest to participants that they bring any (100%) cotton fabrics they'd like to make their wraps from. We'll still supply some for those that don't already have any. We also found that the thickness and quality of fabrics gives different results. Thanks to Peter for allowing us to use the Catalina Conference Centre for the workshops. And last but not least we'd like to thank Grant for his to-die-for scones!